THE B-MOVIE NEWS VAULT: STOCK YOUR VAULT: New DVDs & Blu-rays for 02/21/2017! STOCK YOUR VAULT: New DVDs & Blu-rays for 02/21/2017! Another week, another batch of new releases on DVD and Blu-ray Vault Dwellers! While last week boasted a lot of cool stuff, this week is considerably light on worthwhile purchases. Kino Lorber brings NO RETREAT, NO SURRENDER to Blu-ray for the first time, featuring the international cut of the movie, plus an interview with the lead actor Kurt McKinney, audio commentary with screenwriter Keith W. Strandberg, and theatrical trailers! 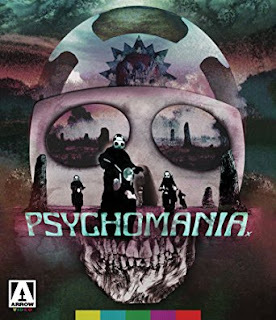 Though that's a definite "must own" in my book, it gets blown away by Arrow Video's 2-Disc Special Edition of PSYCHOMANIA, which offers up a new 2K restoration of the film, new (and archival) cast and crew interviews, and various featurettes! 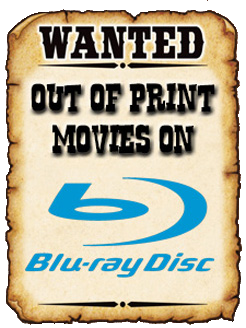 Honestly there isn't too much more to get excited for, so scroll on down for this week's tiny list of DVDs and Blu-rays! Contains: The Adventures of Fu Manchu and The Castle of Fu Manchu.